A lot of questions must be running through your mind at this stressful time. Q) Will my child be taken away from me? Q) The police are asking I bring my child in for questions. Should I do that? Q) The police interrogated my child without my consent. Is it legal? Q) My kid needs help, do you have any recommendation for psychological counseling? Q) My child is already being held at a detention center. What do I do? Q) How long can my child be in detention? Q) What is the hearing process? Q) What are my child's legal rights? Q) Could I possibly need my own lawyer in addition to representation for my child? Q) A probation officer called me and asked me questions about my child. What is this about? Q) What are some of the other possible consequences of my child's act? Q) Will this stay on my child's permanent record? Q) What are some of the long term consequences my child could face if convicted? Q) Could my child be charged as an adult? Q) How do I know when my court date is? Q) How long will this trial process last? Q) What is my role as parent? We get the case dismissed. We get a pretrial diversion agreement, which means if your child stays out of trouble for six months, the case will be dismissed. Barring any of these three outcomes, if your child is found guilty, he or she could be given probation, in or out of the home, or be sent to the Texas Youth Commission. This sentencing is determined by a judge. The punishment does not necessarily include time in a detention center. It could instead include community service or probation. But if your child is sentenced to time in a secure facility, it is by the determination of a judge. A) You should definitely call me first prior to taking your child in for any sort of questioning. A) Often times this is illegal and the statements can be suppressed or thrown out of evidence. Call me. A) Yes, I am familiar with many counselors specializing in juveniles. Please call me. You have the right to a detention hearing by the end of the second working day of detention. I represent minors at detention hearings and work with parents for immediate release. You child will be in detention if the judge chooses to put him there. It can range from a few hours to a few months, depending on how long it takes to resolve the case. I work to prevent detention, or if prevention is not possible, I work to keep detention time to a minimum. In most cases I feel your child belongs at home, with you. A) First you will have a plea hearing, during which your child enters a plea of guilty or not guilty, depending on your lawyer's direction. This is only a pre-trial hearing, not the actual trial. Next you will have a pre-trial conference attended by the attorneys, social worker, accused, parents of the accused, and the judge. This is the stage where some agreement can be reached such as a pretrial diversion agreement, whereas if you child is on probation for six months and stays out of trouble, the case will be dismissed. If you go to trial, there will be a hearing for the judge to determine what sort of supervision the child needs, be that at home, a hospital, or a detention center. Finally there will be a dispositional hearing, where you will hear recommendations from your child's social worker as well as the prosecuting attorney and defense attorney. After the judge hears all testimonies, which could include yours as a parent, he or she will determine the disposition of the case. This is when the punishment is determined, if there is one. A) Your child has the right to: know the allegations against them, have legal representation, protect themselves against self-incrimination, question witnesses, and an appeal. In short, in the State of Texas, your child has all the rights pertaining to an adult in the same legal situation. If you are required to give sworn testimony in your child's trial. If you object to the way your child is being defended. Or if you are alleging that your child need to be cared for by Child Protective Services rather than yourself. A) When you child is charged with a criminal act, he or she will be assigned to a social worker who will contact you within one to two weeks. At what is called an intake interview, you and the probation officer will discuss family history so they can get to know you better. The intake interview is important because this is how the state will base its recommendations on supervision and home placement. It may also affect the prosecution's approach to your case. Intake interviews are done in your child's best interest. This is why it is imperative we do everything we can to minimize the lasting effects of this case. A) In the State of Texas there is something known as expunction, which is the complete and total erasure of a juvenile's record. In many cases, we can apply for and receive expunction, meaning your child's record will be cleared. If we don't, universities and future employers can have knowledge of your child's past acts. For more information, visit my record sealing site. A) Long after a minor has served a sentence and moved past a charge of criminal mischief or marijuana possession, juvenile records are available for employers, colleges, or other institutions to inspect. These records affect the opportunities available to your child. However, it is possible to get a juvenile's record sealed to protect them from these effects and give them a chance at a fresh start. 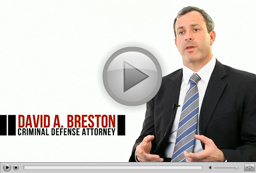 Contact David Breston about getting your child's record cleared or sealed. A) Children are categorized as juveniles if they are under the age of 18. However, in the state of Texas, children as young as 17 maybe be tried as an adult, depending on the severity of the crime. If convicted of a felony as an adult, this offense will stay on their permanent record. A) The DA's office files a petition that is a lawsuit against your child. A constable will serve the paperwork to let you know when and where you need to be in court, usually within a few weeks. You also might be contacted by the probation department. A) It can take anywhere from _ to ____ to go through the pretrial hearings, trial, sentencing, and then punishment phases. A) As the parent of a child facing juvenile crime charges, you have the right to hire an attorney for your child. You may advise your child and be involved in every step of the process, although it is your child being tried in the case. You are never on trial for a crime allegedly committed by your child. For more answers, call David Breston at (713) 224-4040.